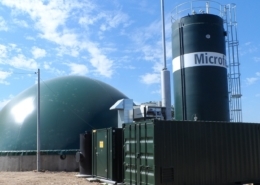 With the Microferm manure digester from bioenergy specialist HoSt, every agriculturist can produce biogas and biomethane on a small scale by digesting manure, completely worry-free. The strength of this micro digester lies in its simplicity with optimum technology, low risk and an investment that is incalculable. Visit our project page for all Microferm projects. 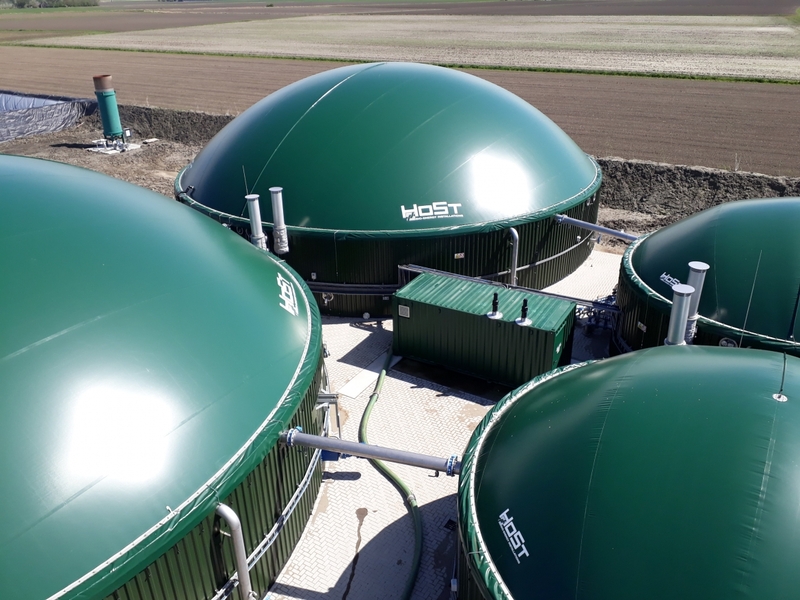 HoSt developed the Microferm manure digester for agriculturists and farmers who want to process manure solely from their own farm to produce renewable energy. 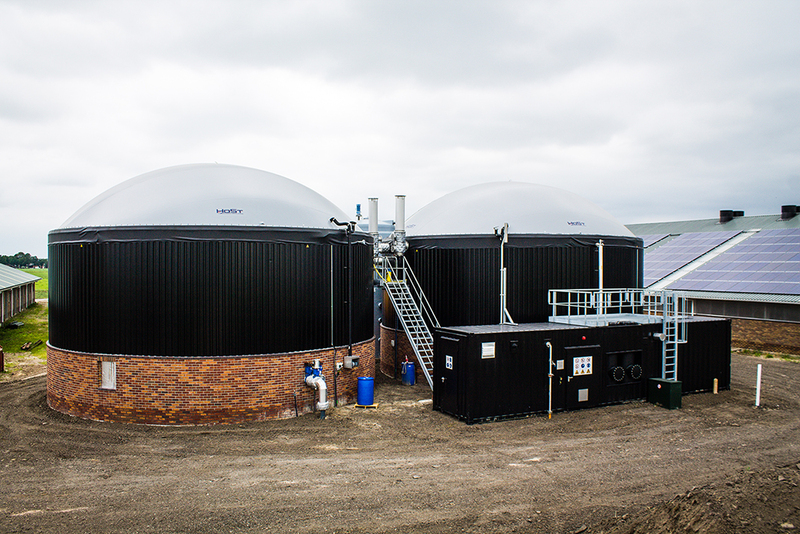 In a profitable way, the manure is anaerobic digested in the proven micro-scale digester and converted into biomethane (green gas). Depending on the company size and the availability of straw manure or agricultural co-products, between 40 and Nm3 (cubic meters) of biomethane per hour can be produced. Then, the biomethane with natural gas quality can be supplied to the natural gas network or can be converted to CNG that is suitable to be used as transport fuel. Renewable electricity production is also possible with this system. 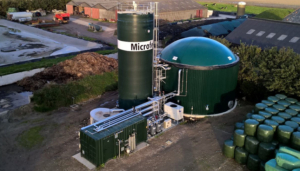 The Microferm mono manure is extremely suitable for small-scale anaerobic digestion of manure at agricultural companies and farms where daily fresh cattle manure is available. 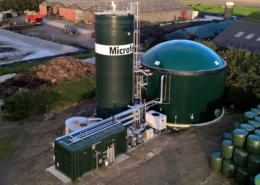 The Microferm’s efficiency is already optimal for livestock farms and agricultural companies with manure production from 7,500 m3. Producing renewable energy with the cleverly designed and cost-effective Microferm, which has years of proven success, is guaranteed worry-free. Questions about the amount of daily fresh manure required or whether your company size is suitable? Contact us for further advice. We are happy to calculate whether the Microferm is profitable for your company. 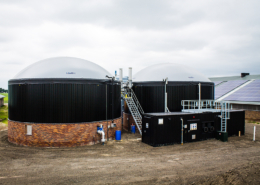 A 100% manure digester requires a high amount of heat for heating the manure to °C, which is the ideal temperature for anaerobic digestion of manure. During severe winter conditions, this could lead to a lack of sufficient heat provision. 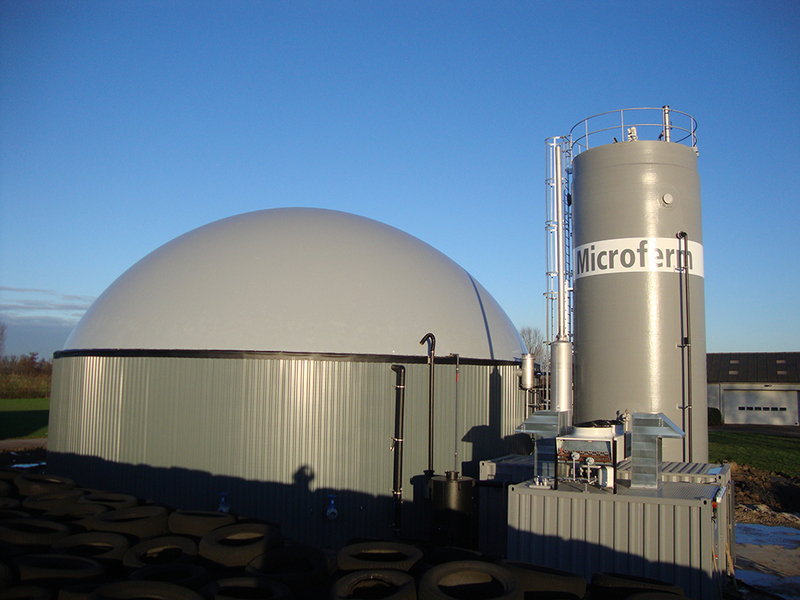 The Microferm plants of HoSt have a very low heat consumption due to complete isolation including the patented insulated double membrane roof, guaranteeing minimal heat loss. This way, the manure is anaerobically digested under the best possible conditions to produce biogas. HoSt understands as no other that enormous effort is being made and much work is carried out at agricultural companies and farms. 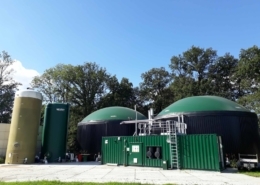 Profitable and worry-free manure digestion and renewable energy production is assured because of the: simplicity of the control system, low maintenance requirements, the low risk and an investment with a pay-back period that is incalculable and manageable. 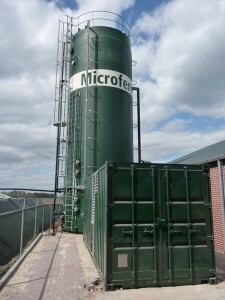 The Microferm plant is equipped with a patented and highly automated technology and is remotely monitored. Daily monitoring of the system on location is all that remains for the farmer or owner of the plant. HoSt also provides 24/7 service and maintenance. Interested in our Microferm manure digestion plant for the production of biomethane or electricity? Need more information or advice for your specific business situation? Don’t hesitate to get in touch with us!